✔ Equipped with easy-dial tension adjustment to suit your own workout goals. High-momentum fan blades produce a gentle breeze as you exercise! 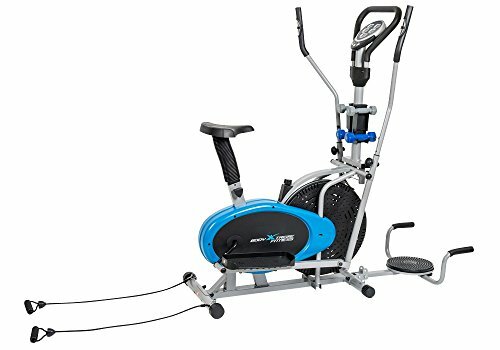 ✔ Features include: Pulse Sensors, Adjustable Seat, Cross Trainer Style Handle bars, and Large Monitor (Pulse, Speed, Distance, Resistance Level) to measure intensity. ✔ Whole Unit Dimension (Frame only) 43.4" x 19.7'' x 61'' (L x W x H) ON SALE - LIMITED TIME ONLY! If you have any questions about this product by Body Xtreme Fitness USA, contact us by completing and submitting the form below. If you are looking for a specif part number, please include it with your message.